Black And White Photo. 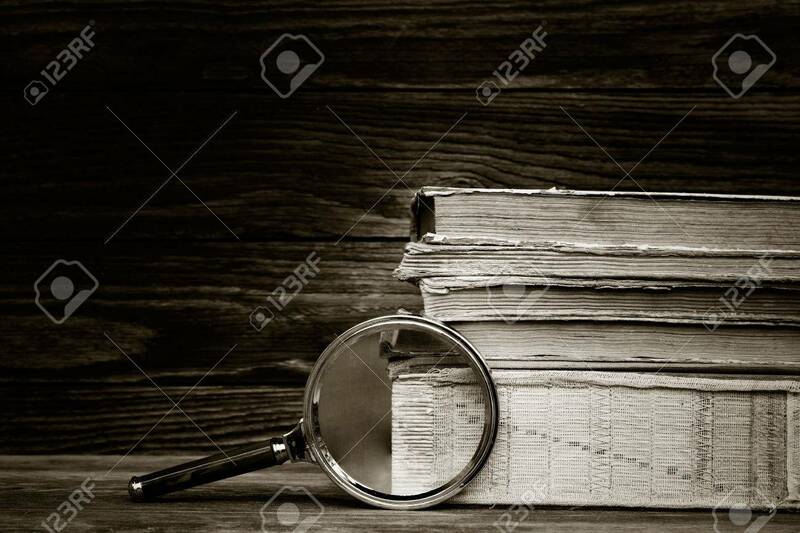 A Pile Of Old Books And Magnifier On Wooden.. Stock Photo, Picture And Royalty Free Image. Image 56372426.